Let's face it. One of the reasons we blog is because we want people to read what we have to say. In order to do that, we have to provide readers with engaging content. In my years as a blogger, I have stopped puzzling over why some blog posts get over 5,000 page views and why some are ignored. It has to do with giving your readers engaging content, and author's Andy Beal and Judy Strauss offer solid advice for doing just that in their book Radically Transparent: Monitoring and Managing Reputations Online. While Beal and Strauss's advice seems to be specifically geared to businesses seeking to develop an online reputation, it also offers educational bloggers some solid advice on providing engaging content that captures readers' attention. Here's their six tips, liberally modified for the edublogger trying to engage others with blog content. 1. Remember it's about the reader, not you. How many times have you stumbled upon those educational blogs that seem to be more about promoting a person or consultant, instead of providing engaging, useful content for readers? Bloggers, including myself, have egos, and often we want to bluster about ourselves, but the truth is, our readers want content. they want new ideas and fresh content; they don't necessarily want to know our life stories and past successes. Make sure your content is for your readers, not for yourself. 2. Offer something new. All of us who blog regularly are guilty of regurgitating links and what others say and what everyone else is linking to. It's the blogging "echo chamber." But the truth is, those posts that are most successful are the ones that say something new, or offer some fresh insight on an ongoing topic of interest. According to Beal and Strauss, if you want your blog to be a "trendsetter" and one that everyone connects to, you have to offer fresh content or new insight. 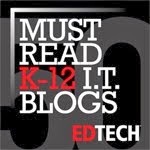 Educational bloggers that want readers, have to give them something they haven't seen before. 3. Be a passionate poster. Just as Beal and Strauss suggest, "Clearly state your opinion in your area of expertise and do it with gusto." Who wants to read content from bloggers who aren't passionate about their expertise? If you want your readers to be engaged in your content, then you must be passionately engaged yourself. Share what you think and what you you believe to be true. Don't worry, if someone disagrees, that's what comments are for. Educational bloggers who want to write engaging content, have engage their emotions in what they write. 4. Be yourself, or "Show your personality." To be "radically transparent" as Beal and Strauss suggest, you have to reveal your true nature when you write. Be authentic. Readers love writing that comes from authentic people. Write in "textbookese" and you'll lose readers. As you write as an educational blogger, don't be afraid to show yourself in your writing. 5. Invite participation. In the blogging world, this means writing in a manner that invites your readers to comment. A great deal of content invites no response. In fact, it is written in such a manner that suggests that comments are forbidden, or at minimum unappreciated. 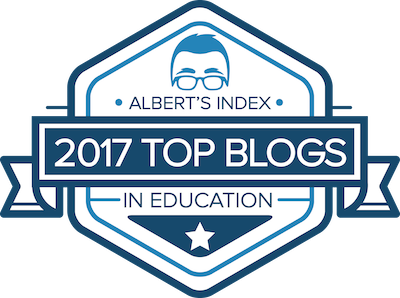 As a educational blogger, give your readers content that invites them to share their thoughts and ideas as well. 6. Give your readers lists. The reality of the blogosphere is that readers love lists. (Hence this list.) Web readers don't like paragraphs; they like short scannable lists. As a educational blogger, it you can put your content into a list, you are giving web readers what they want, easily accessible content. The bottom line is that if your want people to read what you have to say, then you have to provide them with the content they want to read in a format they want to see. One of the challenges I have found as a blogger is to repeatedly provide content that readers might want to see. Ultimately, anyone can provide content, but to provide what Beal and Strauss called "engaging content" means giving readers something they haven't seen before. A great recap of our blogging tips. Thanks for sharing with your readers! You are welcome. Thank you for a great book. I am enjoying the read. Excellent post. And you followed your own advice--modeled the proper form--as you wrote. Thanks. Glad it's useful. As a former English teacher I've come to love blogging. 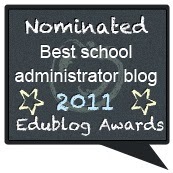 Another great blog post - thanks! Great post, John. Very useful. I've shared it with colleagues in a leadership course I'm taking right now. I read through several of your posts and you definitely "do as you say."